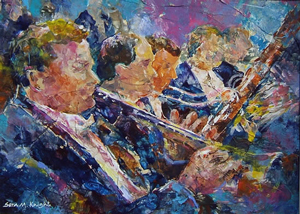 International artist and author, Soraya works in watercolours, oils, pastels, acrylics and mixed media with a variety of subject matters such as musicians, cafe scenes and African market scenes amongst others. Many of her subjects are travel based including people in everyday life situations. Light and colour are the two important elements in her paintings together with semi-abstract passages with a sense of ambiguity. 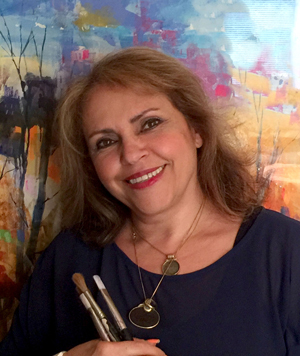 Soraya has received a number of prestigious art awards for her paintings in recent years and many of her paintings can be found in private and public collections both at home and abroad. She is a regular contributor to The Artist Magazine. The success of her two art books published by Harper Collins has brought her international recognition with a wide following. She is a demonstrator for the US based art company GOLDEN ARTIST COLOURS and the Caran D'Ache Company. 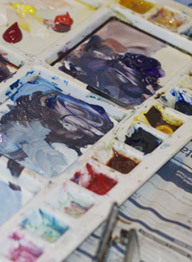 Soraya is also sponsored by St Cuthberts Mill who kindly provide her with watercolour paper annually. 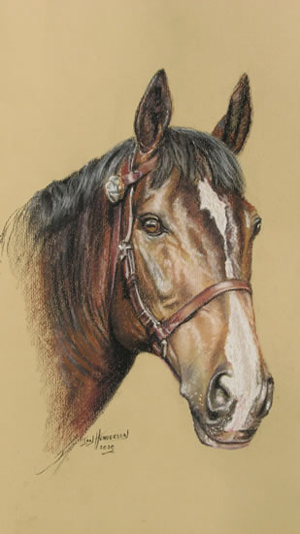 She tutors and demonstrates for many art societies and clubs worldwide. 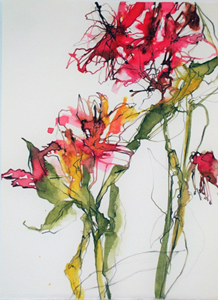 She is President of the Society of Women Artists and a member of the Society of Floral Painters and is also currently the President of the Andover Art Society. Soraya's studio is at the prestigious Project Workshops in Quarley Hampshire where she works with her husband Tim, who is Director of their art gallery and workshops. 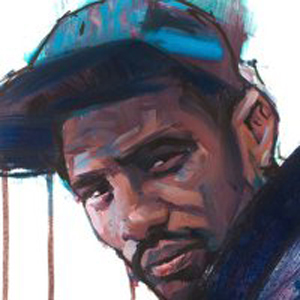 Chris trained in Bristol as a graphic designer going on to work as an illustrator in publishing and advertising. 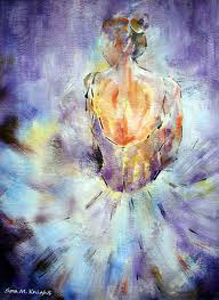 Turning to watercolour he became an accomplished artist expanding into acrylics and mixed media. 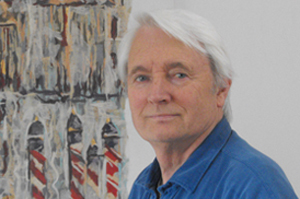 He has exhibited, and won major prizes, with the Royal Watercolour Society and the Royal Institute of Watercolour Painters and is an elected member of the RI and the Society of Graphic Fine Arts. Chris enjoys creating textured layers of dry-brushed colour that allows hints of complementary colour to glow through creating a sense of excitement. 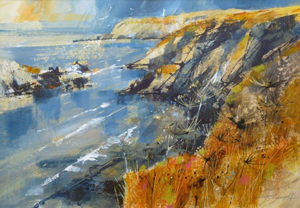 His work sells both in the UK and abroa d. Chris is a popular tutor and is much sought after for local art societies and groups. He runs his own classses and painting holidays in Greece and Cornwall. After graduating with a first class degree in textile design, Julie worked as an in-house designer of household textiles before freelancing for several years creating fabrics, wallpapers and designs for ceramics; all inspired by her love of flowers. 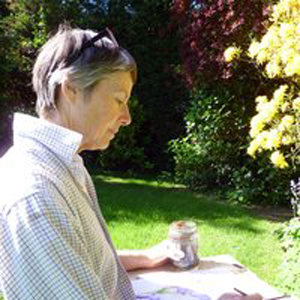 Julie lives in Kent, England where she now paints to commission, contributes articles to Leisure Painter magazine and runs watercolour classes in venues varying from National Trust Gardens to cruise liners. 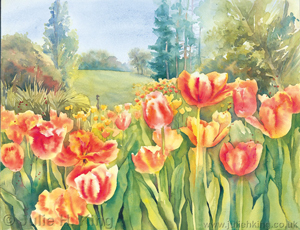 Julies love for flowers and the natural world shines through in her paintings. 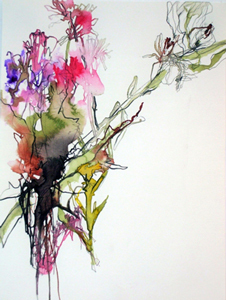 Her style is varied, from delicate translucent watercolours to a free style bold ink and watercolour interpretation, for which she received the SBA Certificate of Botanical Merit. Julie was awarded the Elizabeth Smail memorial prize 2014 (Florum)for colour and composition. Sheteaches in venues ranging from National Trust gardens to cruise liner and runs her own classes in Tunbridge Wells, Kent. Julie is an inspirational, patient and kind tutor who gives regular workshops for art sociteties and groups. Sera has been drawing and painting since childhood. 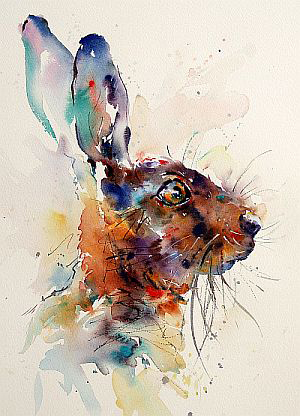 She paints mainly in watercolour, acrylic and mixed media. Tackling human figures and perspective has always been her favourtite subjects but she enjoys anything that is a challenge! Regardless of the subiect she uses light cleverly creating a mystical atmosphere together with technical and emotional strength. 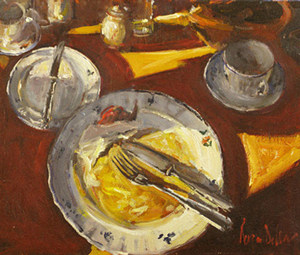 Sera has exhibited with the Society of Women Artists and the RI in the Mall Galleries, London and regularly exhibits in Norway and Turkey. Her work is in private collections in the UK, Europe, USA and Australia. 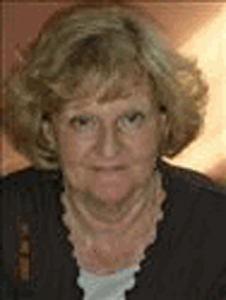 Sera teaches adult education classes and local art groups and societies. Her exuberant style and enthusiasm make her a popular tutor much in demand. 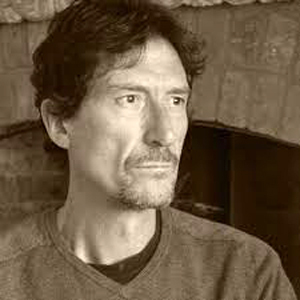 Roger was trained at the Sutton School of Art and went on to become Creative Director of a leading London advertising agency.He then started his own graphic design studio and worked extensively as an illustrator. 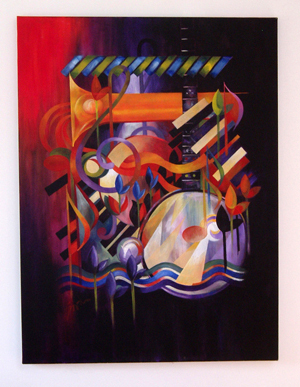 His versatility covers all media and subjects with much of his work being towards the abstract and experimental. 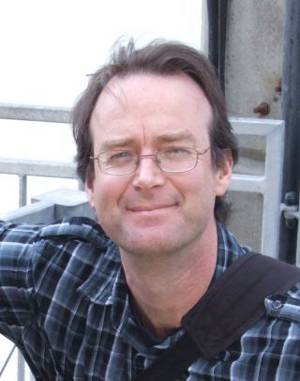 Roger is a captivating and inspirational teacher leading his students towards original and highly creative work. He teaches and demonstrates in all media and his work has been widely exhibited. Roger has his own studio and art gallery in Canterbury where he lives and teaches with his wife Lindsay. 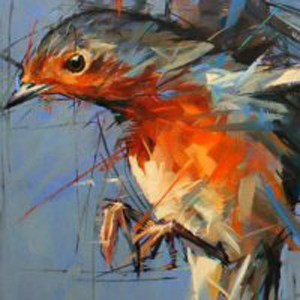 Roger Dellar is a professional figurative artist who works in oils, pastels, mixed media, acrylics, and water based media. He is a member of The Royal Institute of Painters in Watercolour, The Pastel Society, and is an full member of The Royal Institute of Oil Painters and his work is in major exhibitions in London and the UK. 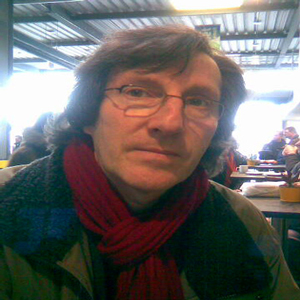 Since 1996 he has been an active member of The Wapping Group. 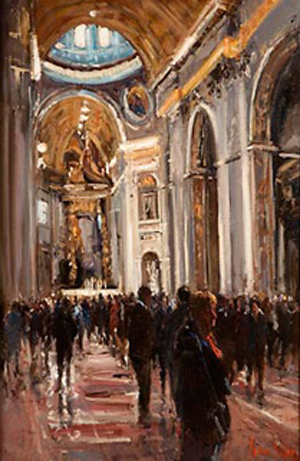 His interest is in observing people in their environments which has influenced him to record and interpret them, capturing light effects. Roger is a keen sketchbook enthusiastic, a patient and kindly tutor and in great demand from local art societies and groups. 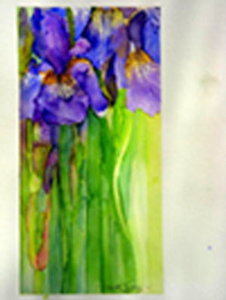 Sandi's chosen medium is watercolour and her pictures are inspired by her love of colour. 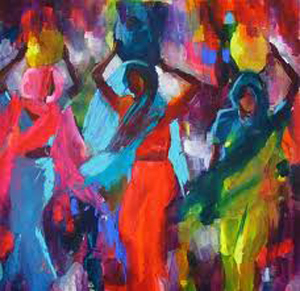 She feels colour as some people feel music and the versatility of watercolour allows her to exploit this to the full. Her work has been published by the Medici Society, Colour House Graphics and the Artists and Illustrators magazine. She has written articles for this latter publication and was awarded the Winsor and Newton prize for Artist of the Month. 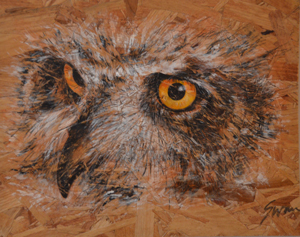 Sandi exhbits with the Society of Women Artists and is a professional Associate of the Society for All Artists. 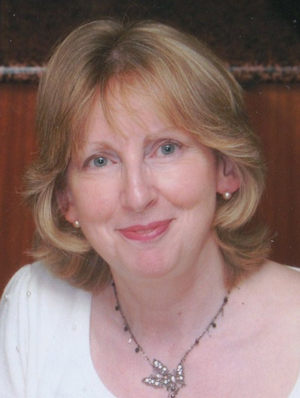 A very popular and skilled tutor she teaches local art groups and societies and runs her own Watercolour Workshop which she was invited to take on board cruise liners. 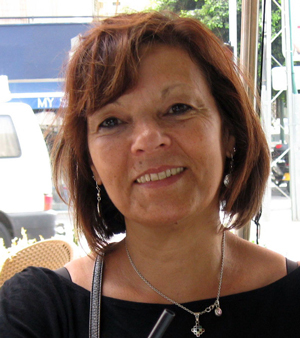 Karen is a well established artist tutoring art Groups and organisations in London and South of England. She was a practising Chartered Physiotherapist for 22 years, then turned to develop her artistic skills around 20 years ago. Although primarily self taught, she gained full distinction for an HND in Fine Art and completed a BA(Hons)degree in Fine Art Sculpture at Wimbledon College of Art in 2013. Her bronze work was selected for exhibition at the Threadneedle Prize Exhibition 2013. 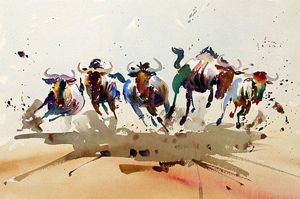 Karen is a guest tutor for Art Safari, leading and tutoring painting holidays. 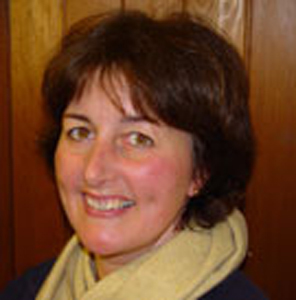 She is an active member of the Dorking Group of Artists, having been Exhibition Secretary 2000-4, Winter Programme co ordinator 2003-04 and Chairman 2004-2008. Annually, Karen has had work accepted for exhibition at the Mall Galleries with The Society of Women Artists and at Westminster Central Hall with The Society of Botanical Artists and has sold at both. She also shows her work successfully at local club exhibitions and galleries in London and the South East. 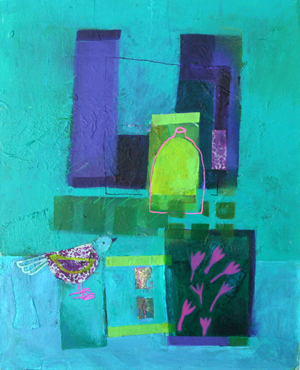 She also opens her garden studio to the public as part of the Surrey Artists Open Studio week. For the past few years, Karen has hosted and organised charity painting days, exhibitions and 'Art4Kids' workshops raising over 16,000 for children with special needs. She lives and works in Dorking. Whilst studying in London at Heatherley and the City and Guilds Schools of Art Ian worked with artist Spencer Churchill on a series of portraits of Winston Churchill for American clients. He also worked for many years with Royal Portrait Painter, Bernard Hailstone. During this time he exhibited paintings in the Royal Portrait and Wildlife Societies as well as the Leardi Gallery. 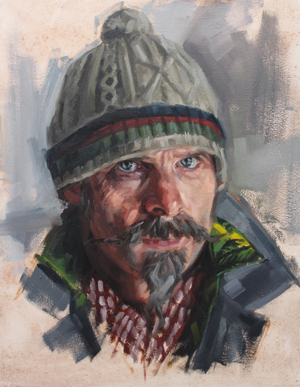 Ian moved to Germany where he lived for over 25 years working as a full time artist and teacher specialising in portraits, animals and the British Military. 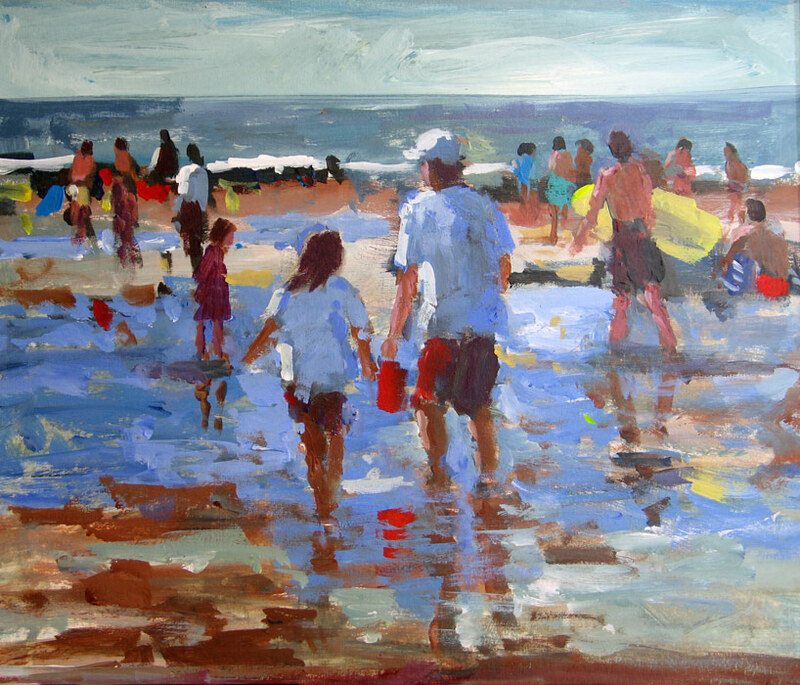 He recently returned to live in the UK where he tutors and gives demonstrations to local art societies. His studio is in Salfords a village in the borough of Reigate and Banstead in Surrey. 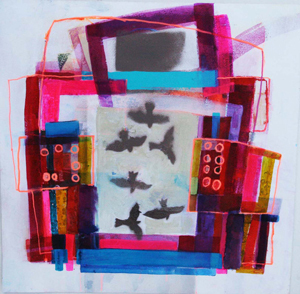 Laura is a contemporary, semi-abstract artist who has successfully shown and sold her work for a number of years, having first gained a BA in painting and an MA in print-making. She describes her work as a journey, enjoying the activity of making her artwork so that the process of this journey is as important as the finished piece itself. She loves colour and likes to play with the interaction of colour and also textures on the surface of the painting. Her inspiration comes from both travels to exciting and exotic places such as Morocco, Vietnam, India and South Africa and also closer to home, working from drawings and many photographs which provide a memory of the sights and visual excitement she has felt. She also likes to work with still life, being attracted to quirky, colourful and patterned objects and also natural forms such as flowers. She composes as she goes, stylizing objects and creating strong and dynamic compositions which she says allows the paintings themselves to become the object rather than the objects themselves. She has also written two books Learn to Paint Abstracts and Painting Accessible Abstracts. Jake exhibits widely in the south of England and in 2004 was a finalist in the Dail Mail's 'Not The Turner Prize' competition. In 2007his work was selected for the Royal Society of British Artist's exhibition in The Mall Galleries, London, and from that time he has been contributing regular articles about his painting style for The Artist magazine. 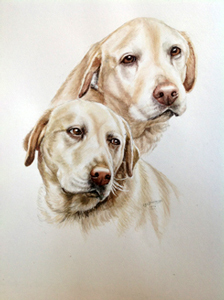 Jake has been the subject of three instructional DVD's by Townhouse Films:- Watercolour fromDark to Light, Light and Movement in Watercolour and most recently Going Wild in Watercolour. 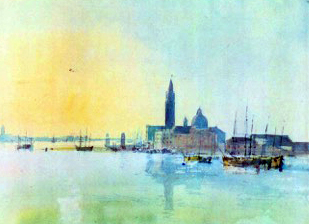 Jake's book Light and Movement in Watercolour was first released in 2012. 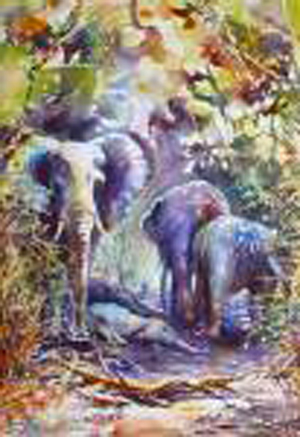 Jake has been winner of category and best in show at Marwell International Wildlife Art Society's annual exhibition and in 2009 was awarded the prestigious St. Cuthberts Mill award for best watercolour at the Society of Equestrian Artist's annual show. Inspired by light and movement Jake's paintings are a reflection of the world around him. As well as exhibitions in London and the south of Englandhe has undertaken many fine art commissions for individuals and notable organisations including The National Trust. Frances has always had a passion for art. Since she can remember she has always drawn and painted. She trained at Central St Martins London and obtained a BA Hons Degree in Fine Art. She now exhibits in galleries and group shows across the UK. She has a passion for the natural world and finds inspiration for her work from the forces of nature. Nature in its full glory can express so many emotions.Working in oils, mixed media and watercolour she layers her work using a limited palette. Using tone and texture, she likes to create strong, powerful images that depict nature at its most sublime. 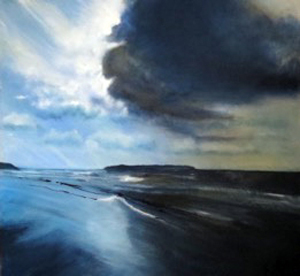 The common thread that links all her work is her love of colour and light, with a strong sense of the natural world. 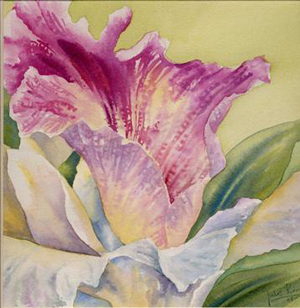 Her watercolour paintings cover a range of subjects from landscapes to flowers, she also teaches in this medium. Mark studied graphic design and advertising at Amersham School of Art before commencing a career as an art director working for advertising agencies in and around London and Birmingham. He is a self taught painter, who started painting in 2001 and was elected a Member of the Royal Birmingham Society of Artists in 2007. 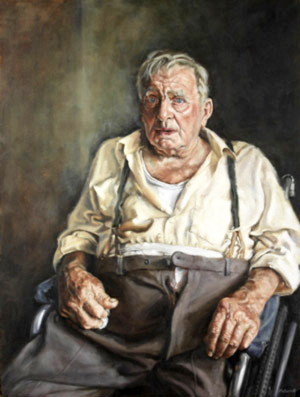 His work has been exhibited on three occasions with the Royal Society of Portrait Painters at the Mall Galleries in London and he exhibits regularly with the RBSA in Birmingham as well as locally with Buckinghamshire Art Society. Working in predominantly in oils but recently also in acrylics, charcoal and chalk,Mark specialises in portraiture and figurative work. Commissions to date include Antony Worrall Thompson and the Lord Mayor of Birmingham. 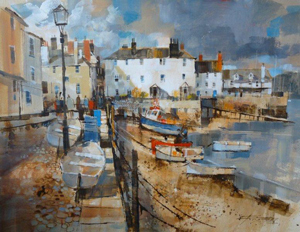 As well as painting people he also enjoys painting in all weathers around the village of Brill where he lives and has a studio. 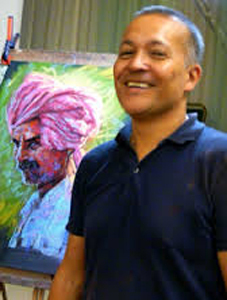 Over recent years Mark has been running painting workshops in the Costa Blanca as well as various workshops and demonstrations for art groups and societies across the UK. 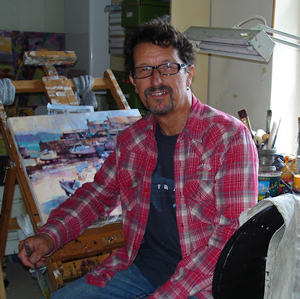 From 2018 he will be teaching in Tuscany with artsholidayitaly.com. Christine Forbes is a Sussex artist and graduate of Northbrook College, Worthing. Her background is in design, acting, fashion and catering. She has been teaching for over 12 years (both adults and children) and includes: The National association of Gifted Children and HMP Ford. She continues to work for private, club and corporate clients. 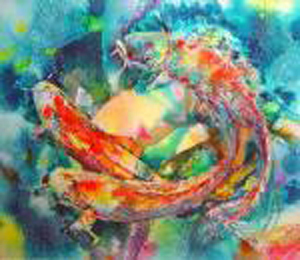 Christine exhibits regularly and is a member of the Sussex Watercolour Society. She runs her own gift card business. Whether working on her own or teaching -her methods are the same. Loosely based on whatshe has learnt from Chinese ink drawing, she shows her students all the techniques that can be employed to express something unique and personal. They in turn learn to work beyond their comfort zone and find an intuitive, more confident terrain. Ebru studied and graduated with a Masters degree from the prestigious Mimar Sinan Fine Arts University in Istanbul –and had the privilege of being taught by the wonderful Hikmet Barutǧil, one of the most inspirational living masters of the art. During her academic education Ebru had the opportunity to learn this ancientart form from theroots up. From crafting her own brushes to creating her own paints from raw natural pigments ,she quickly discovered that there was real magic in the art of marbling. Like life itself, marbling is an adventure where there is never repetition and Ebru believes this art form can teach us a great deal, providing a unique insight into ourselves every time. She loves sharing in this journey with those she teaches and to watch the results unfold is the greatest gift for her. Despite it's robust traditional roots Ebru strongly believes marbling is a limitless and very open minded form ofart. She loves to provide tutoring to everyone who wants to know more and meet with this amazingart andintroduce them to how versatile and contemporary itcan be.